Malbork is known for its medieval castle which was founded by the Knights of the Teutonic Order. 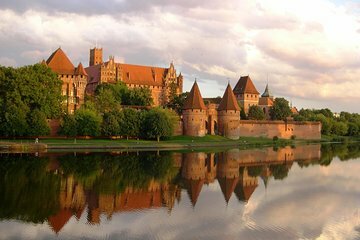 On this 5-hour trip, you’ll save time planning transport by having hotel pickup, drop-off, and a transfer to Malbork Castle included. Make the most of your time in Malbork, by avoiding visitor lines and having entrance tickets provided. You’ll have a guide to accompany you, and highlights include the Grand Masters Palace, and the Great Refectory.